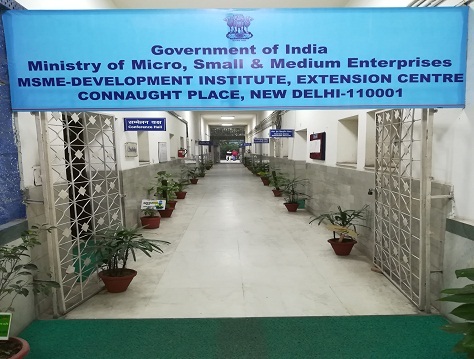 Micro, Small and Medium Enterprises (MSME) – Development Institute, Extension Centre was established in the year 1956 to provide technical training for skill development in different trades to the educated unemployed youth and school dropout children of the Society. The centre is also providing training to the children sponsored from Balsahyog society founded by Former Prime Minister, Late Smt. Indira Gandhi. The aim of this training is to generate self-employment and to provide Skilled Personnel to the industrial sector. The Centre is located in a prime location in Connaught Circus, which is right in the heart of the National Capital.